Designed to be simple and effective, Rohan is a down to earth concept with asymmetrical shape, Laskin's beveled armrest, thin body thickness (no tremolo) for fast responsiveness and defined attack, with tons of tone all over the spectrum. Flat-top only. 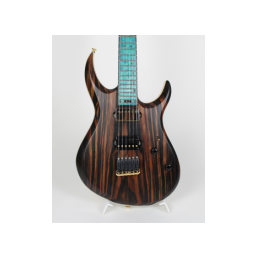 Custom tonewoods, hi-gloss finish, true temperament, multistrings and fanned scale options available. "I don't actually buy any other guitars than GNG. My three sisters are getting more acoustically loud. 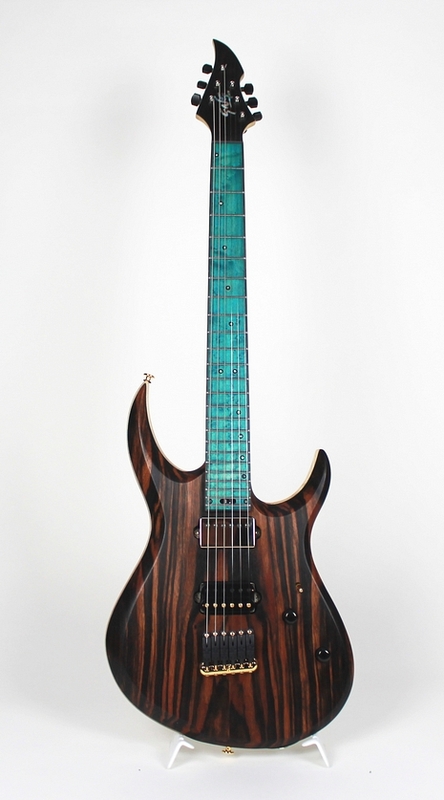 I will get one Negrini guitar at least every year, which will continue until I die. Haha! I think I'm a really fanatic guy for GNG!" 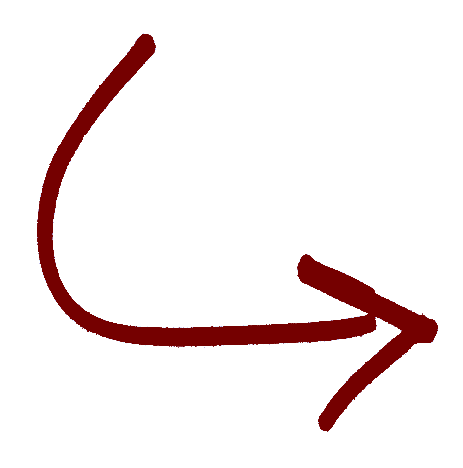 A modern asymmetrical design, to fit the needs of modern musician and follow the playing techniques and tone research evolutions. With a better reach of the higher frets, a versatile scale length (25,34") to reach an impressive balanced frequency response, snappy and concept-tuned handmade pickups, a lighter and more responsive headstock and thin body thickness. The lower strings profile allows a more comfortable picking technique, resulting in faster and clearer performances. Can be enriched with a luxurious 1/4" flat-top wood with the laskin's bevel armrest. Tonewoods are carefully selected worldwide for the best figure, stability and sound properties. The proportions are studied for the perfect balance (have you noticed the shorter headstock and the longer upper horn?). 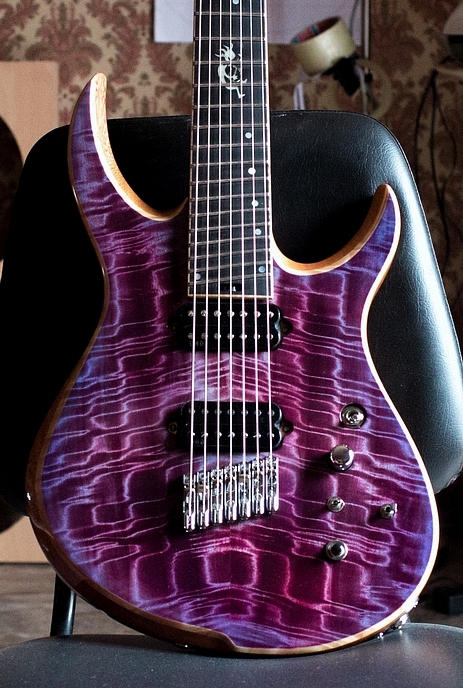 The access at the higher frets has plenty of space for the most comfortable shredding in the higher range. 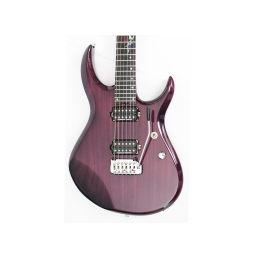 I offer different Fanned Fret/Multistring designs, up to 7 strings for Rohan model. 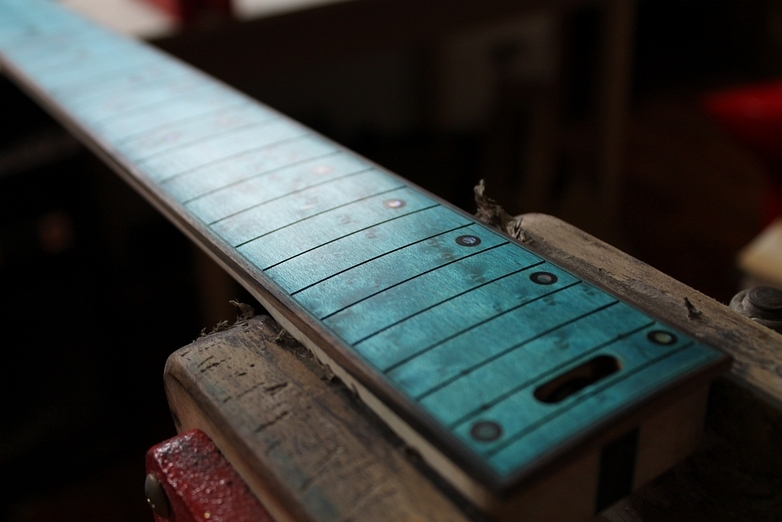 Or is the research of perfect intonation something you don't compromise with? 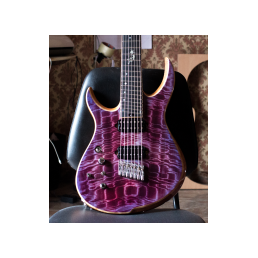 You should really check this and stop wondering about the tune: I give you the True Temperament® system on 6 and 7 string models. Want more? 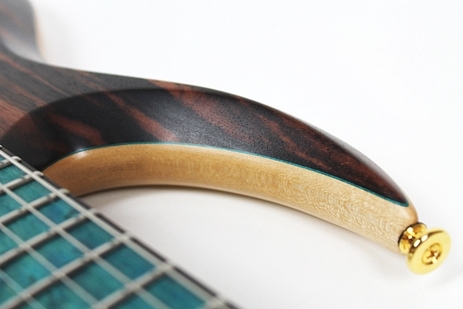 Reach the absolute tuning stability with the Evertune® bridge, available too for the GNG Rohan. Here are shown some GNG Rohans I've made, each one is a custom order: this reflect the wide variety of needs and requests of different guitarists.